The absolute titan that is Ghost is taking their gothic metal across North America this fall! The aptly named ‘The Ultimate Tour Named Death’, Ghost are bringing along Nothing More to support them through this nearly two month adventure across the United States and Canada! With their newest album Prequelle released just under a year ago, their support for the record has been nearly non stop. 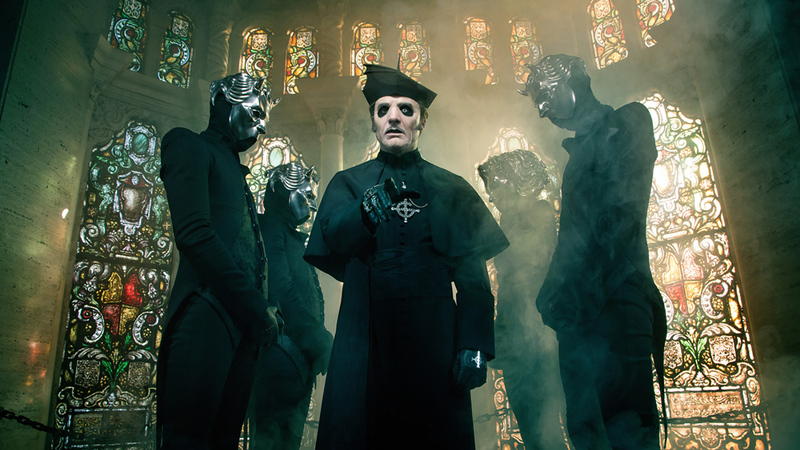 Ghost recently finished a massive stretch that was the ‘A Pale Tour Named Death’ run that just finished up in Europe and Australia. They will also be appearing at Heavy Montreal this summer with an absurd amount of large names in the hard rock and metal scene. Tickets can be purchased here. Keep up with Ghost on Facebook and Twitter for more information and added guest appearances on the tour!